What did Alan Rusbridger tell Downing Street about Andy Coulson? Before the general election the Guardian contacted all three party leaders to tell them of certain facts about Andy Coulson which the Guardian could not at that stage report. • The fact that Rees had been jailed for seven years for conspiring to frame a woman by placing cocaine in her car, after which he had been rehired by Coulson’s News of the World. • The fact that Rees’s illegal activities on behalf of the News of the World had been prominently reported in the Guardian before he was rehired under Coulson. None of these details was included in any report for several months until after the collapse of Rees’s trial in March 2011. The thrust of the conversation was that Rees was a murder suspect who had been involved in massive corruption on behalf of the News of the World of which Coulson could not have been unaware. The Guardian understands No 10 chief of staff Edward Llewelyn was informed of this conversation. Downing Street’s reference to the private detective working for Panorama is baffling and irrelevant to how the Rees information was handled. There was no suggestion that Rees ever had any connection with Panorama until March 2011, many months after No 10 was told the details of the Rees case. Staff at the very top in Downing Street knew the sort of activities that Andy Coulson was allegedly engaged in when Editor of the News of the World…. Andy Coulson to be arrested….. The Guardian is today reporting that Andy Coulson, former Director of Communications to the Prime Minister is going to be arrested by the Metropolitan Police tommorow for his part in the phone hacking scandal. Alan Rusbridger, editor of the Guardian, reports here that he was aware of how deeply Mr Coulson was involved in the phone hacking scandal at the News of the World, and that he informed David Cameron through an “emmisary”. Mr Rusbridger also states that he told Nick Clegg in a face to face conversation…. I don’t think I was the only person to warn Cameron in advance about Coulson, incidentally. Mr Coulson’s job title was officially given as “Downing Street’s Director of Communications”, and he was employed by HM Government, not Mr Cameron. His £475,000 contract with CCHQ was terminated when Mr Cameron moved into Downing Street. 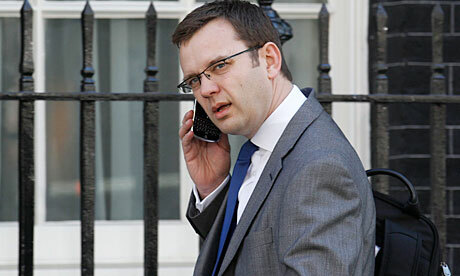 Update: Andy Coulson was indeed arrested on charges of phone hacking and making illegal payments to policemen.